At Steven Kretchmer, each piece of jewelry is a custom engineered, collectible piece of art and is individually tested before leaving the studio! Kretchmer Tension SettingsTM are the only patented tension settings in the world. ...12,000 lbs of pressure = more light = better colors = more compliments! An elegant, modern style, the Marquise Helix is a unique choice for any occasion! Metal choice may be selected in "drop down" box at "Add to Cart" area. $3,310 ranging upwards of $6,040. For a fabulous Center Diamond, or a Triple 000, the highest light performing diamonds on record, call TQ Diamonds' expert staff at 608-833-4500. We can create your custom ring, using different size diamonds, to fit your budget in each Steven Kretchmer Tension Set ring! Steven Kretchmer rings in stock, ship within 24 hours. 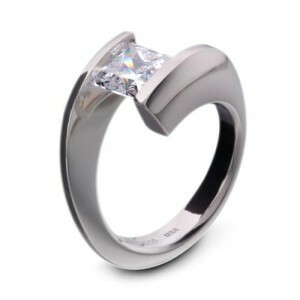 Since each Steven Kretchmer ring is custom made to fit the center diamond, and finger size, it may be necessary for us to place a custom order with Steven Kretchmer. As a premier authorized Steven Kretchmer retailer, our orders are usually filled first. We will contact you and confirm all details, if your ring needs to be ordered. When you purchase a Steven Kretchmer from TQ Diamonds, your decision is more than an investment in a beautiful piece of jewelry - it is also an investment in the lifetime care of the piece by the expert artisans at Steven Kretchmer and TQ Diamonds! What does the Steven Kretchmer Warranty Cover? Complimentary Cleaning & Inspection always at TQ Diamonds! Can I buy directly from Steven Kretchmer? Steven Kretchmer does not sell directly to the public. 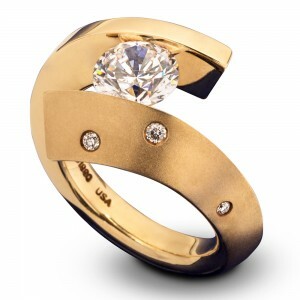 Steven Kretchmer is a designer and manufacturer of rings, fine jewelry and accessories. All of our jewelry is distributed to the public exclusively through Authorized Steven Kretchmer Retailers. 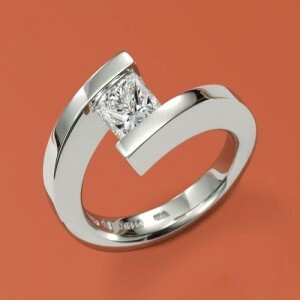 TQ Diamonds is a premier authorized retailer, who is more than happy to assist you with design, pricing, and service. What is an Authorized Steven Kretchmer Retailer? TQ Diamonds, as an Authorized Steven Kretchmer Retailer, is a reputable and well-established jewelry store that carries and provides high quality service to the Steven Kretchmer collections! 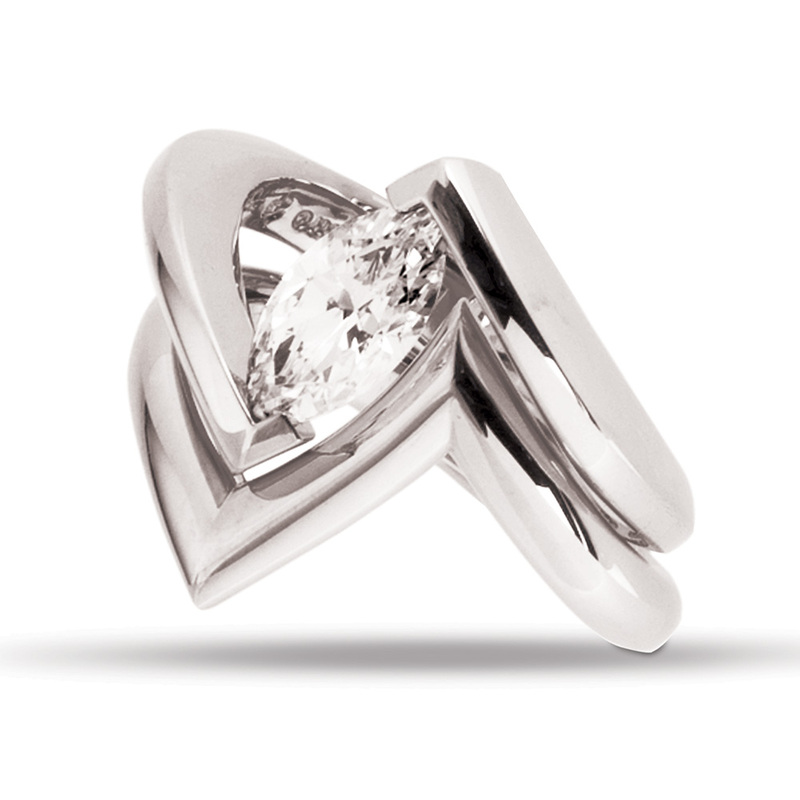 TQ Diamonds has exclusive rights to represent and sell the Kretchmer jewelry collection. Steven Kretchmer personally chose TQ Diamonds because we have the experience and expertise to properly represent the entire Kretchmer collection and provide you with the best service available. Don't risk losing your Steven Kretchmer warranty! This warranty is void if your custom, Steven Kretchmer was purchased from an online auction site or has been damaged by unauthorized service, negligence or accident, or other causes not relating to defective material or workmanship. With a Tension-Set™ by Steven Kretchmer, the strength of the entire setting itself secures the stone in place by a compression force of 12,000 pounds per square inch, not just with wires as in prong settings. This type of mounting also exposes the diamond or gemstone to more light, and brings out the brilliance and colors that are often hidden by prongs or bezels. Tension-Set™ jewelry is especially comfortable to wear, and has no prongs that scratch or catch on clothing. It is fundamentally stronger and more durable than traditional settings, and is built to endure everyday use more successfully. Impacted by unusual force, a prong-mounted stone can shift and loosen when the prongs bend, but a Tension-Set™ stone is held by pressure, secured into the seat by specially heat-treated precious metal alloys, and needs no routine tightening or maintenance. Steven Kretchmer Tension-Set™ jewelry pieces are the only patented tension settings in the world! Tension-Set™ jewelry by Steven Kretchmer is the only tension setting that has been awarded U.S. patents 5,084,108 and 5,188,679. The patented technology involved the use of specific compositions of precious metal alloys, subsequently processed by extremely effective precision heat-treatments. Imitators cannot make these claims. 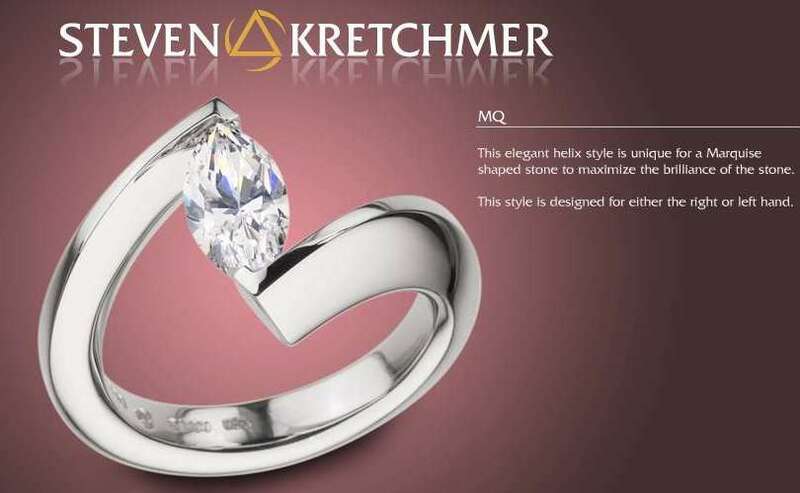 Many jewelry firms attempt to imitate the look of Steven Kretcmer’s work, but a tension setting done by any other American company risks the security of your stone. None are able to achieve the quality of Steven’s original designs or the special feel of his exceptional pieces. At Steven Kretchmer, each ring is a custom engineered, collectible piece of art, and is individually tested before it leaves their studio. Both Sotheby’s and Christies consider Steven Kretchmer one of the ten most collectible American fine jewelry designers. Steven Kretchmer only works with diamonds, rubies and sapphires because of their exceptional hardness. They are formed in nature by immense pressure. A specially trained GIA graduate gemologist inspects every precious gem that is received at Steven Kretchmer. Its structure is carefully examined under a high-power microscope and polariscope to determine the best way to set it in the Tension-Set™ jewelry. TQ Diamonds is proud to have been selected to exclusively represent Steven Kretchmer. Steven Kretchmer jewelry is not only distinctive due to the exquisite designs, but also because of its incomparable quality. Each piece of jewelry begins from pure elements specially blended in the furnaces at Kretchmer’s studio. The unique precious metal alloys are densified and homogenized. Then, they are worked through the numerous goldsmithing stages that transform them into signature award-winning jewelry. 18 karat gold and 95% pure platinum alloys created and processed by Steven Kretchmer’s studio are specifically developed for the critical purpose of compression-spring gemstone mountings. The unique precious metal alloys are densified and homogenized to eliminate any possibilities of fractures from stress. The colors are vivid and appealing. The exclusive 95% pure platinum or 18 karat gold alloys are processed by Kretchmer’s patented methods to become especially hard and springy, much like a master swordsmith’s blade. The jewelry is aged in our furnaces and does not become brittle through time, as do many jewelry alloys. Kretchmer’s precious metal alloys also have the advantage of being more enduring than standard jewelry alloys, and therefore retain their finish much longer. Polarium™ is a revolutionary permanently magnetized platinum alloy developed by Steven Kretchmer for a line of jewelry that exhibits amazing behaviors, including levitation. It is 77.7% pure platinum, extremely hard, and resists scratching far better than any other precious metal jewelry alloy available anywhere. 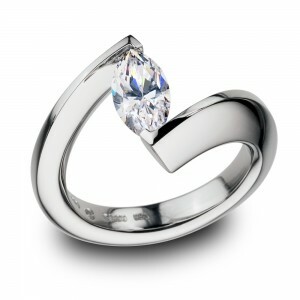 TQ Diamonds - clients have been buying with SAFETY and SECURITY since 1987! At Steven Kretchmer, each piece of jewelry is a custom engineered, collectible piece of art and is individually tested before leaving the studio! 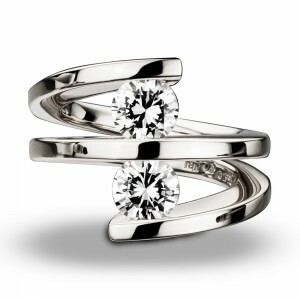 Exclusively at TQ Diamonds! !